Wonderful to be back at Dr. and Mrs. Harpreet Gill’s Diamond Bar, California home for the wedding of their daughter Biki. Raj Tents provided an extensive tented and walled installation for the wedding of their eldest daughter Nasseeb in 2011, so a great pleasure to be asked back for Biki and Jasmeet’s wedding this year. 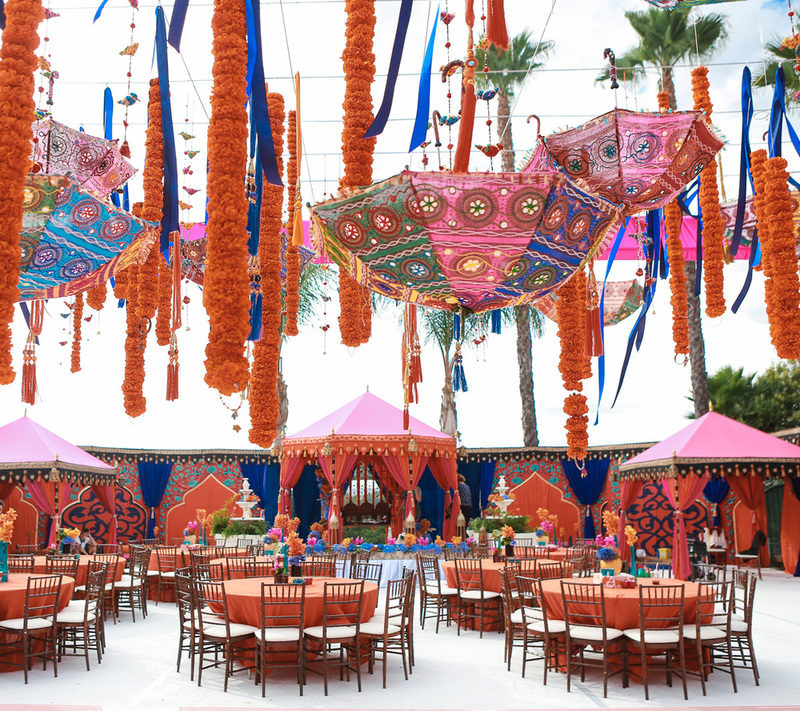 The sports court was transformed with Raj Tents’ Mughal Arch walls in red and spicy orange with matching Pergolas and Pavilions. Saadia Kibriya of Kismet Event Planning and Design designed the event, bringing in the lovely floral garlands and umbrellas to create a spectacular effect. Many thanks to Ambiance AV for the lighting, Manohar’s Delhi Palace who provided the delicious food, , Synx Events for the band and entertainment that brought all to life. Amana Siddiqi of Kismet Event Planning and Design coordinated the wedding and pulled all together wonderfully. Thank you to Jim Kennedy Photographers for the great pictures. - another really stunning album, of which only a selection are shown here.